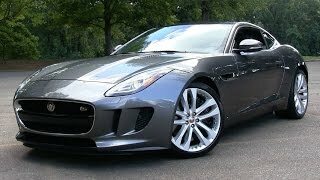 With its base release in 2012 Jaguar F Type proved its mark as a successor to Jaguar E-Type. 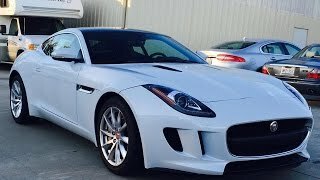 With time it gained more members in its family and the same queue at the 2014 Los Angeles Auto Show got enriched with the introduction of Jaguar F-Type Coupe 2016. 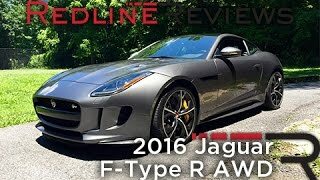 Offering all wheel drive to its customers Jaguar presented two versions of its model namely F-Type R and F-Type S, let us have a closer look to the entire picture frame. The interior of Jaguar F-Type Coupe received rounds of upgrades to steal its buyer’s hearts. The series begins with the entirely new dials, gauges and an infotainment system. Some of the newly installed apps and features include 770 watt Meridian audio system, smart key offering keyless entry and most enchanting the 14 way power adjustable seats. Each of these upgrades turn more close as are offered with the standard model of Jaguar F-Type Coupe. A powerful tail gate (for R Coupe) and configurable Dynamic mode gives driver best driving experience when accompanied with a Switchable exhaust system. This all united brings a remarkable experience while the driver holds dash mounted flat bottomed steering wheel. 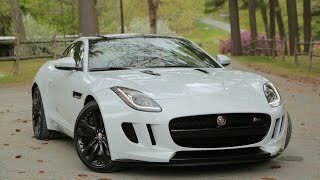 The exterior of Jaguar F-Type Coupe 2016 in its front fascia comes with an aluminum bonnet featuring in it all new redesigned vents to maintain proper fresh air circulation. Side sills match the color of body while the swoopy profile accommodating muscular rear fenders gives an aggressive look to Jaguar F Type Coupe 2016. In all though we didn’t found the exterior of Jaguar F-Type much different from its predecessors but the subtle changes (though few in number) makes a remarkable presence while on streets. 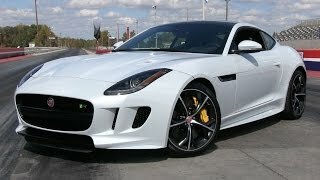 The base version of Jaguar F Type Coupe is the only one not to come with an All-Wheel drive system, while the rest two trims are remarkable namely, Jaguar F Type R and Jaguar F Type S. The former gets its power through a 3.0 Liter V6 engine delivering 380 Horsepower and 460 nm torque while the F Type S gets its power through a 5.0 Liter V8 engine delivering 550 horsepower and 680 nm torque. The top speed figures for both the models remains glued at 186 mph and are paired to six speed automatic transmission (being all wheel drive models). However the 0-60 mph sprint differs with the F-Type R model achieving it in 3.9 seconds and F-Type S in 4.9 seconds.